Skoda Octavia Boot Space, Size, Seats | What Car? 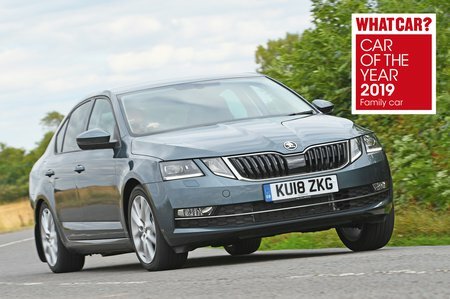 There’s buckets of front space in the Octavia; a very tall driver will certainly be able to get comfortable and the interior feels more spacious than most rivals. Storage is very good, too; the door pockets are big enough to hold a 750ml bottle and the glovebox is a practical size. Behind the gearstick are two cupholders that will hold a large takeaway mug and, thanks to a special grip, allow you to open a bottle of water one-handed. Skoda’s so-called Simply Clever package is a worthwhile and reasonably priced option and adds a number of thoughtful finishing touches. These include a removable phone holder that occupies one of the cupholders, and a lidded waste bin that fixes into a front door pocket. SE models and above also have a central armrest that doubles up as extra storage space. The Octavia is a match for the Ford Focus when it comes to rear legroom. Behind a tall driver with their seat pushed back, even a long-legged rear passenger will be able to lounge in comfort. There’s loads of head and elbow room, too, but the middle rear occupant has no choice but to straddle the car’s large raised central tunnel. At least with generous under-seat foot space, there’s plenty of room for their feet, and the Octavia is still one of the more comfortable cars in the class for carrying three rear passengers. A central armrest with two cupholders is an optional extra on SE models, but standard on SE L and upwards. You'll find document pockets on the backs of the front seats, and the deep door pockets are roomy enough to hold a 1.0-litre drinks bottle. The Octavia’s rear seat arrangement is fairly conventional. There are levers on the top of the rear backrests – and conveniently in the boot as well – that release the 60/40 split-folding seats. 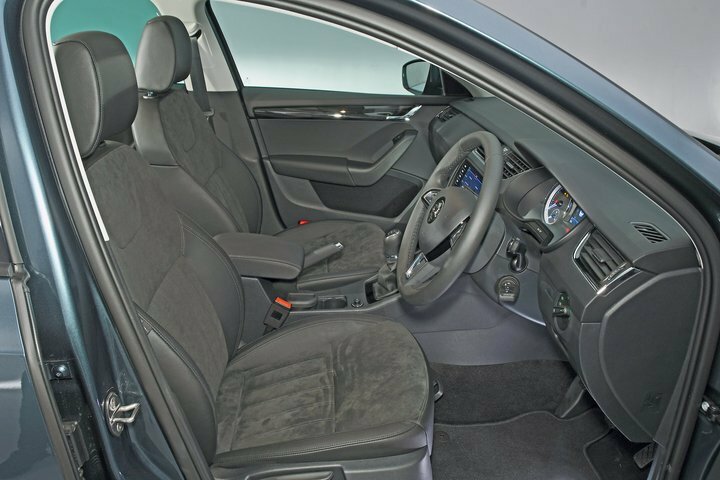 All but entry-level cars get a height-adjustable passenger seat with lumbar adjustment. A fold-flat passenger seat is a relatively inexpensive option that SE buyers can choose, and ups the storage space even more for particularly lengthy items. The Octavia’s huge boot is a big selling point. Despite its sloping lid, it’s as tall as the boots in most squared-off hatches, such as the Focus or Volkswagen Golf, but much, much longer. 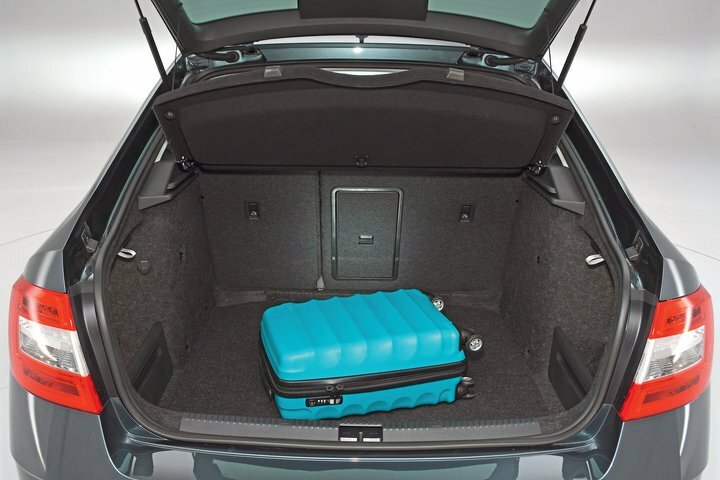 In fact, it's long enough to fit 11 carry-on suitcases – most cars in its class will only manage around five. There are neat touches such as the Velcro restraints that are clipped neatly to the side of the boot. You can also add various practical add-ons, including various boot nets and dividers, and a double-sided boot floor with carpet on one side and a washable rubber surface that won't be ruined if you dump muddy boots on it. You can't add a height-adjustable boot floor, though. Not only does that mean you can't create a separate compartment, but there's also nothing to level out the sizeable step left in the floor when you fold down the rear seats.